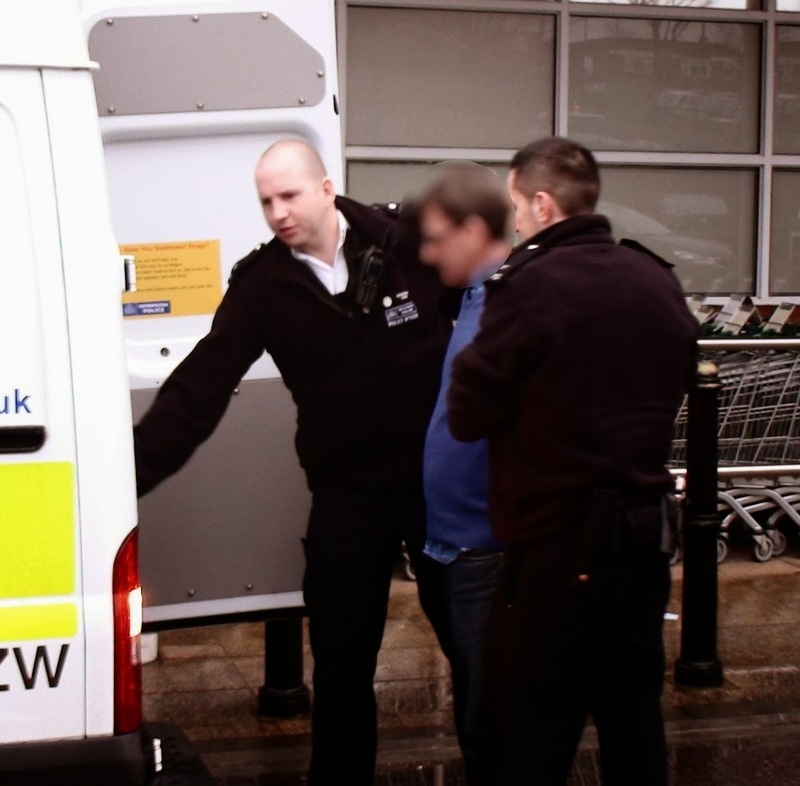 A man was arrested this afternoon after apparently trying to steal meat from Waitrose. The police were called just before a quarter to three and questioned the man who had allegedly been caught by Waitrose staff. The police questioned him on site until around a quarter past three when two more officers arrived with a van to take him away. He was led out in handcuffs to the van and driven away. Waitrose has suffered a spate of meat thefts over the past year or so and the blog understands there is one main culprit responsible for much of it. Although I cannot confirm if this chap is the same one.